There are few contemporary industries that are as complex and challenging to navigate as healthcare. The realities of constantly changing regulatory, financial, and legal environments, combined with increasing societal expectations for excellence and safe and quality care, have resulted in a unique combination of constraints and opportunities that require the best and the brightest of managers and leaders to successfully tackle. Yet despite a growing cadre of highly trained healthcare management professionals, there continues to be a paucity of high quality leaders across the industry. Moreover, even among those individuals, there is a significant amount of variability and heterogeneity of leadership styles and approaches. In an era of accountability to multiple stakeholders – from patients, to insurance companies, to local and national governments – the complex environment of healthcare requires visionary leadership, flexibility, adaptability, short-term tactical approaches, as well as long-term strategic thinking. Beyond the traditionally defined scope of services, the mission of institutions providing healthcare services has become much broader and far-reaching than just the provision of medical services within a specific geographic area. With hospitals and health networks progressively growing to become some of the largest aggregators of employment in the United States, it is not uncommon for healthcare institutions to function as guarantors of economic stability to entire towns, cities, and regions. Yet this must be carefully balanced with the challenges of maintaining sustainable growth and acceptable profit margins that help ensure that this “safety matrix” continues to function as intended. To be an effective leader in the modern healthcare environment, one must possess more than the knowledge and skills similar to other corporate environments such as having a fundamental understanding of relevant business models and their implementations, a high degree of emotional intelligence, conflict resolution, and a well-established repertoire of leadership behaviors expected of an executive. It takes someone truly special to translate the presence of diverse threats and opportunities – often in a climate rich with multiple types of diversely structured and organized competitors, multi-layered complex agendas that incorporate both personal and organizational goals, and an institutional “history and culture” that can be difficult to navigate, let alone change. Contemporary healthcare leaders must also possess a broad understanding of the nuances and intricacies involved in working with a multitude of care providers, inter-disciplinary teams, complex delivery platforms, and diverse patient populations. These efforts must translate into well-run healthcare systems that, although difficult to clearly and concisely define, are able to deliver excellent patient care, at the highest possible intersection of customer quality and value. For some other healthcare institutions, teaching and research missions can also be variables that must be considered and managed effectively in order for a hospital or healthcare system to be successful. Many of such organizations are the primary generators and providers of new provider talent to their communities and patients. Achieving all of the above goals is far from easy. 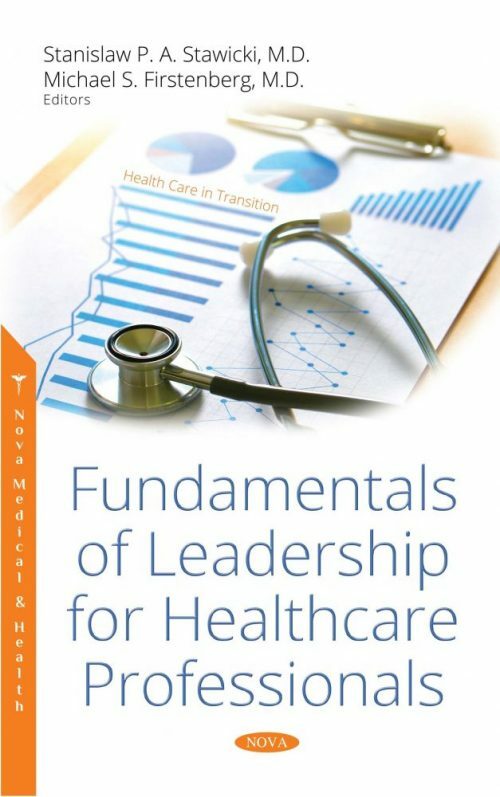 As the editors of Fundamentals of Leadership for Healthcare Professionals, we were motivated by personal experiences, passion for the arts and sciences leadership roles, and the overarching goal to improve one of our most precious resources – the healthcare system. Each chapter in this text explores different aspects of healthcare leadership, provides valuable insights into how effective leadership functions, and offers practical perspectives on implementations of theory into practice. We hope that the reader will gain a better understanding of the full spectrum of challenges and opportunities that face healthcare leaders at all organizational levels.